As winter is upon us, it’s important to know how to keep your roof protected from the snow and freezing temperatures. 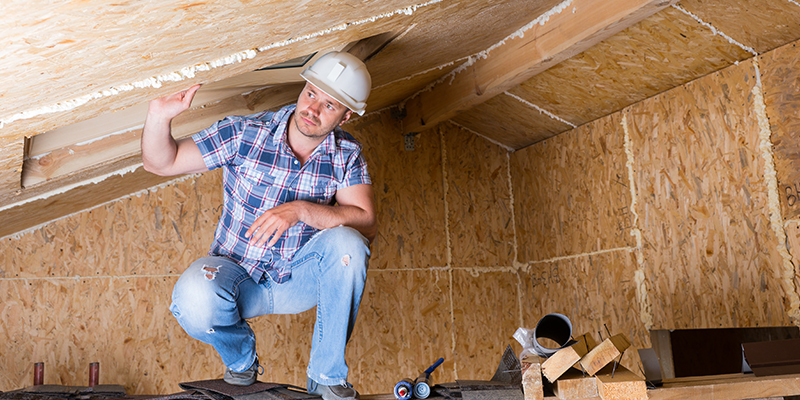 The cold weather can really have an impact on the health of your roof. In order to keep your home and your roof in the best shape this season and to avoid any costly damage, follow this guide of things you should check as the temperature drops. Make sure it’s well insulated. This will help protect not only the interior of your home, but also the health of your roof as well. If the insulation has gaps or holes, this will allow heat from inside your home to reach the roof, melting some of the snow outside and increasing your heating bills. This melted snow will then freeze again when temperatures drop, and thaw when exposed to the warm air from inside. This freeze-thaw cycle causes the shingles on your roof to expand and contract, potentially causing damage and allowing leaks to occur. Check for evidence of leaks. Stains and spots could indicate that there has been previous water damage to that area. If there does not seem to be significant damage, keep an eye on the stain and check it after storms to see if it worsens. Ensure your ventilation system is working. This will make sure that air flow is being properly distributed throughout your home, keeping all areas dry and warm during the winter. Look for any indication of animals. You do not want to seal your home for the winter if there are any animals living in it, as they can cause damage to your home that will be costly to repair. Your gutters serve as a way for water to escape from your roof and make its way down to the ground. If your gutters are clogged with leaves and branches, the water cannot flow off the roof and instead will accumulate. In the winter, this means freezing on your roof and around the edges of your home, as well as in the gutters and downspouts. The ice will expand, which can cause damage to your home. When the temperatures warm up, damaged gutters will not drain the excess water adequately, further damaging your home. 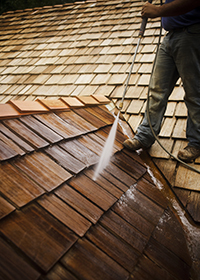 Your roof may have collected various kinds of debris over the course of the year. This could include leaves, small branches, and other accumulation brought on by the elements. This debris can trap water and snowfall, freezing it onto your roof and causing unnecessary damage. Snow accumulation can be quite heavy, and tree branches have been known to break under the weight. If there are tree branches that hang over your home, consider trimming them back before the winter begins. Not only do you prevent the risk of a fallen branch, but you also eliminate leaves and other tree debris from collecting on your roof during the other seasons. Having no branches over your roof means that small animals who may make their way into your home or cause damage to your roof have a harder time accessing the top of your home as well.